Lego is a series of popular toys that can be used to build things out of lego bricks. Legos have been popular for decades. In fact, they have been popular since the time they started manufacturing, which was in 1949. The Lego Group started manufacturing the toy back in 1949 in Denmark. However, Godtfred Kirk Christiansen, the head of the Lego Group, filed the patent for the toy at 1:58 p.m. on January 28, 1958. Hence, in 2008, the toy celebrated its 50th anniversary. The iconic toy was invented by Ole Kirk Christiansen, Godtfred Kirk’s father. 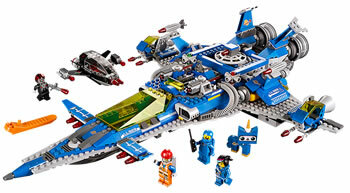 Legos are a type of construction set toys, which means that players are supposed to use the toys to construct things. The legos consists of colourful interlocking plastic bricks that have pegs on them. These pegs fit under the groves on the bottom of the plastic bricks; hence, forming designs and models. There bricks were accompanied by an accompanying array of gears, minifigures and various other parts that could be used to add detail to the patterns and designs. What made the lego popular is the fact that the bricks can be assembled and connected in many ways, and be used to construct such objects as vehicles, buildings, and even working robots. Anything that is constructed can be taken apart and put together again. The same pieces can also be used to make something new entirely. Since, the original legos were created and sold, the company has vastly expanded the series. Legos now come is a variety of shapes, sizes and themes. Since the 1950s, the Lego Group has released thousands of sets with a variety of themes, including town and city, space, robots, pirates, trains, Vikings, castle, dinosaurs, undersea exploration, and wild west. The company has since started releasing specialized sets of lego as tie-in for various other phenomenon, such as blockbuster movies, video games, etc. Subsequently, s global Lego subculture has developed, supporting movies, games, competitions, and six themed amusement parks. 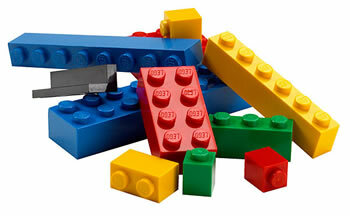 As of 2013, around 560 billion Lego parts had been produced.